Wheel alignment (or simply alignment) is standard car maintenance that involves adjusting the angles of the wheels so that they are set to the manufacturer's specifications. The main purpose is to let the suspension and the steering systems operate at their desired angles - this reduces tire wear. Alignment is a complicated process and not all mechanics get it right. 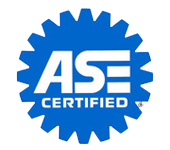 To have experts handle your car's alignment, visit Barkley's Auto Service. If you feel excessive vibration in the car, or wobbling of the steering wheel, your tires may be unbalanced. Barkley's Auto Service has the professional equipment and technicians to measure the balance of your vehicle's tires and make necessary corrections. Call us at 501-679-6770 if you have questions, or contact us so we can evaluate your tires. An incorrectly repaired tire could pose a safety hazard to you and your passengers. At Barkley's Auto Service, our tire experts will determine whether your tires are able to be repaired, or if they need to be replaced. If the tires are repairable, our certified technicians will make sure they are repaired correctly and get you back on the road. At Barkley's Auto Service, we understand that tires are an important part of your car. The quality of tires and material used on them highly affects the vehicle's performance. Their main purpose is to protect the wheel's rims and improve vehicle performance. For this reason, we only deal with brand name tires. Also, we offer fleet tire management services to ensure you are getting the best value, fuel economy, and life from your tires. Once a need for new tires is determined, it is necessary to identify the best tires for your vehicle and driving demands. Look for tires that do well in tests for braking, handling, and resistance to hydroplaning. Winter traction should also be considered, if applicable. Let tread wear, ride comfort, noise, and rolling resistance be tiebreakers. Trust the tire experts at Barkley's Auto Service to help you choose the right tires for your vehicle. Best place in Greenbrier to have work done. Took my truck in and asked them to do a bumper to bumper inspection and tell me what it needed. They gave me a list of things that needed to be done immediately and another of things that could be done at a later time. They were flexible with my time and got the work done on schedule. Their prices were fantastic and their entire crew was extremely professional. Very honest and hard working employees. Employees are courtious and shop is clean. I was very impressed. Professional auto repair shop. No games, fair pricing, quality work and friendly. My entire family have been taking our vehicles here for years now. They are always up front about what is wrong and how much it will cost before they perform the repairs. They will let you know what needs immediate repairs and what can wait. They will go above and beyond to make sure you are happy. They are always extremely fair on parts and labor costs. There is no other place I will take my vehicles to. They will have my family's business for as long as I am alive. Always a pleasure doing business with these guys. I trust them to fix any vehicle I have, and they give you a very fair deal for thier great work. Tom is the best, great mechanical knowledge. I am from Evansville, Indiana. I had just bought my car there. 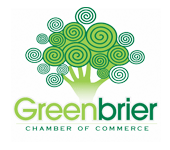 I drove to Greenbrier, AR not knowing my brakes were very bad when I started. The seller told me he had just put brakes on it. I called Barkley's, which was highly recommended. They got me in right away. Replaced all of the brakes, rotors and something else that fell apart while removing the rotors. They were EXTREMELY professional, and the bill was VERY cheap. I HIGHLY recommend these guys! If I ever need any kind of repairs again while visiting here, these guys will ALWAYS get my business! Great service, very understanding, and get the job you need done to your vehicle done for a reasonable price. Fast service, and they are up front. He actually recommended other places that could help me get a cheaper price for tires; I will keep coming back. Attentive, fair, honest and professional service. 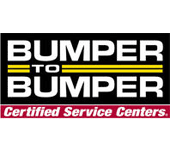 They have been servicing my vehicles for several years. I wouldn't think of using anyone else.